Job Opportunity. Be the monster! Teach Your Monster to Read is looking for a person to dress up as a fun and friendly monster for an event in Cardiff (Thursday 30th October) and Manchester (Saturday 1st November). The actor should have an up-to-date DBS check and have experience working with children. Must be between 5’7-5’10 to fit in the costume. Please email [email protected] with details of your relevant experience. This is a paid job and will be a fantastic event, encouraging children to learn to read! This is a great starter for those children who are beginning their reading journey. 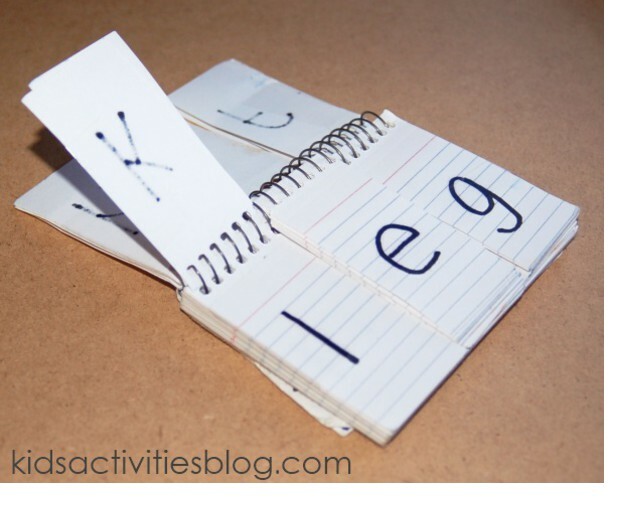 Create a phonics flip chart from a notebook and use it to help children sound out words. For more information about this resource and others go to the Kids Activities Blog. 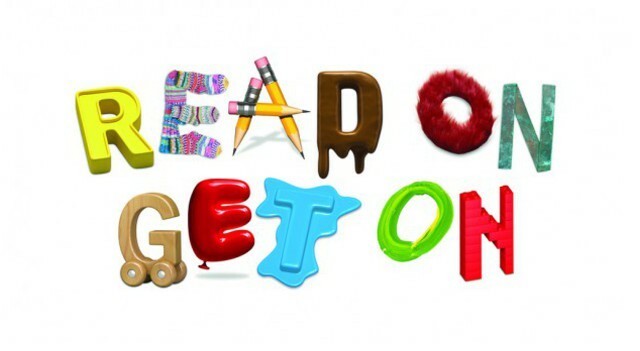 Teach Your Monster to Read joins Save the Children’s Read On. Get On. campaign. Reading is the key to a child’s future: it unlocks their potential and opens up a world filled with possibilities. And for our poorest children reading well is their best route out of poverty: they do better at school, better in the workplace and are better placed to give their own children the best start in life. This means over the next decade almost 1.5 million children will start secondary school already behind, and with likely consequences for their future. Teach Your Monster to Read is one of the partners launching Read On. Get On. – a reading campaign driven by a coalition of organisations, communities, parents and schools, businesspeople, media and politicians. Organisations include Save the Children UK, Booktrust, The Reading Agency, Beanstalk, NAHT and National Literacy Trust. Read On. Get On. is a campaign that will encourage all of us to play our part. Everyone can do something – just ten minutes a day reading with a child makes a huge difference and helps them fall in love with reading. Children who don’t enjoy reading are ten times more likely to fall behind by the age 11. We can’t afford to fail. Join us today. For more information go to www.readongeton.org.uk and sign the petition to get politicians behind this campaign. 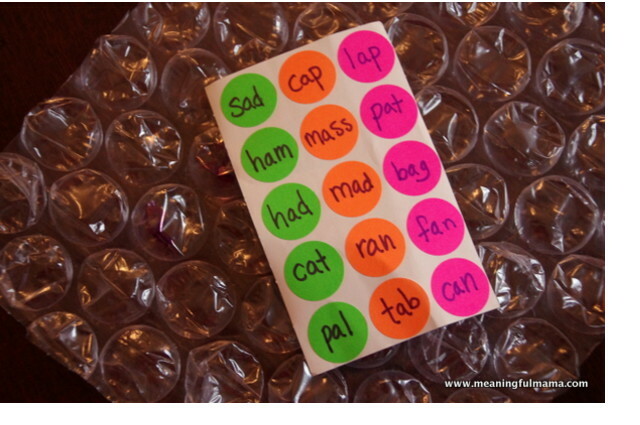 Thanks to this image on Stacey Adams Pinterest page and the fantastic Meaningful Mama blog for the idea of using bubble wrap as a phonics game. It’s simple; add sticky labels containing target words or graphemes. Say the word out loud and ask children to find the words and if they get it right they can pop the bubble. You can also try blending words together by adding letters to the bubble wrap and asking children to pop the right bubble to the corresponding sound. It’s an easy game to set up and we know that lots of children love popping bubble wrap! Read how to set it up on the Meaningful Mama blog page. Shake a word! New phonics activity. A quick and easy phonics activity that helps children practice blending and segmenting. Use it every day with different letter blocks. 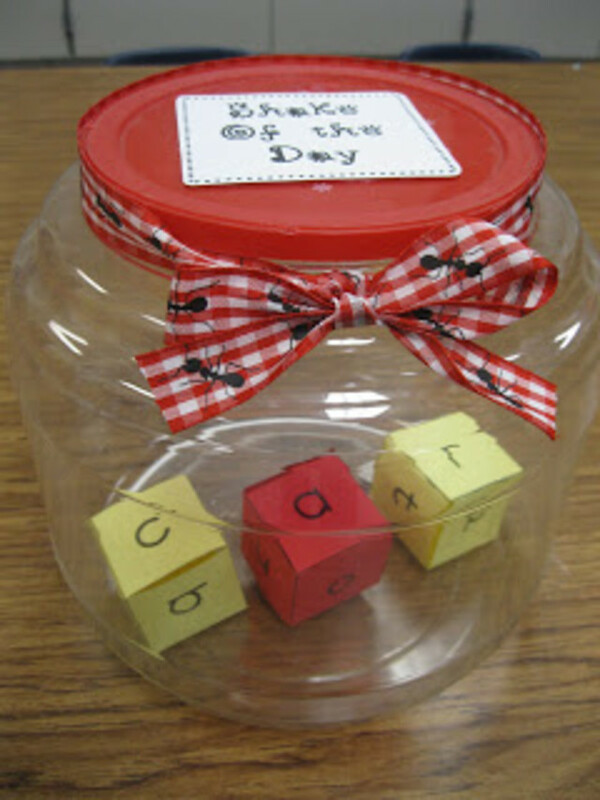 Head over to Mrs Ostermans’ blog for more ideas and resources on the ‘shake a day’ theme. Send over any phonics games or resources you use at home or in the classroom and we’ll feature them on this blog. 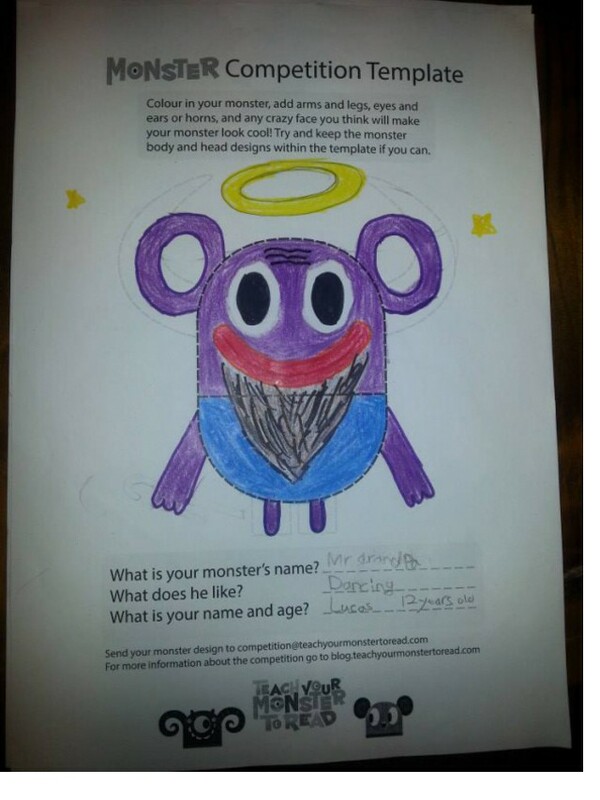 Draw a Monster competition – winners! 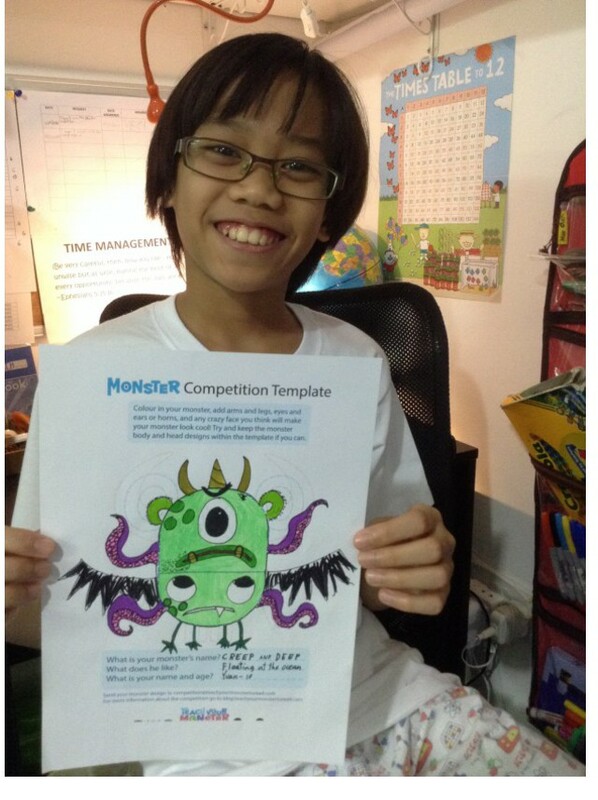 The winner of our Draw a Monster competition for Summer 2014 is… Yuan with his drawing of ‘Creep and Deep’. ‘Creep and Deep’ is green and likes ‘Floating at the ocean’. We love that he has two faces, wings and four tentacles. Yuan wins £150 worth of Usborne books for his school. Congratulations Yuan! 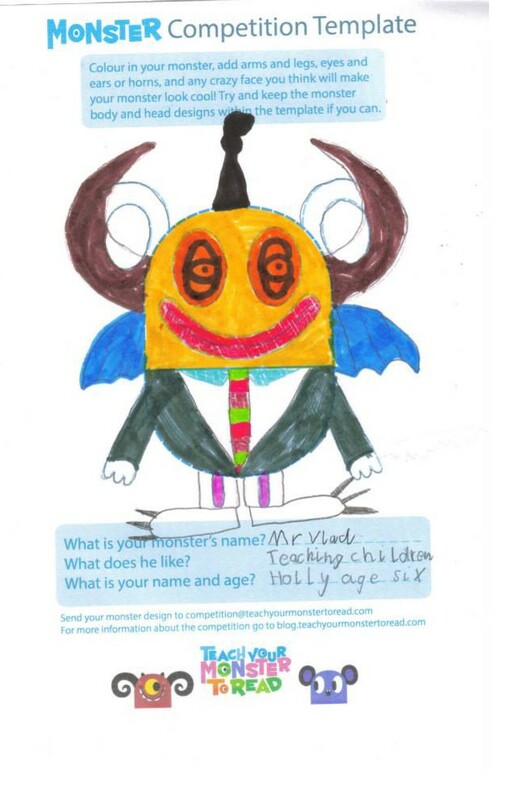 Holly drew the colourful and original ‘Mr Vlad’. ‘Mr Vlad’ likes teaching children. Here he is below in all his vampiric glory. Lucas drew ‘Mr Grandpa’. ‘Mr Grandpa likes dancing! He also has a marvellous beard that impressed the judging panel. Well done Lucas and Holly! You will each receive £75 worth of Usborne books for your schools. Thank you to Micaela and Mary-Anne and the team at Kideeko for judging the game and to Teach Your Monster to Read’s illustrator Rich Wake for making the final selection! All the entries to the competition can be found in this Facebook gallery. Thank you to everyone who entered. The monsters were out of this world! Teach Your Monster to Read: First Steps is now available on iPad. It’s here! We’re delighted to announce that Teach Your Monster To Read: First Steps is now available as an iPad app. Download the Teach Your Monster to Read iPad app from the Apple App Store today! 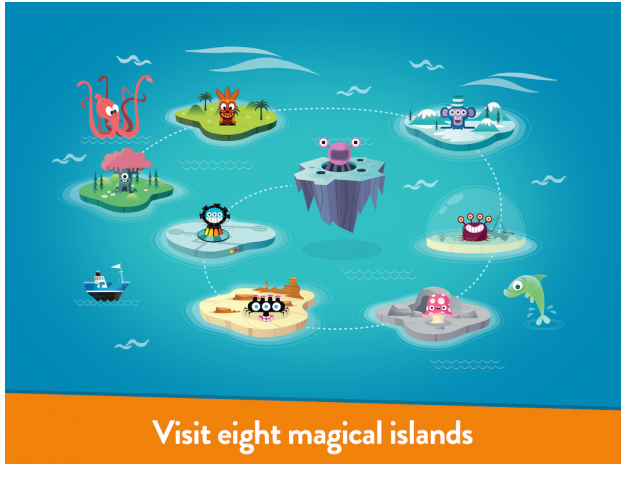 All the functions and features of the web game are there – children create a monster, and take it on a fantastic adventure through a magical world where they meet island kings and collect letters to win prizes, developing speed and accuracy of letter recognition along the way. 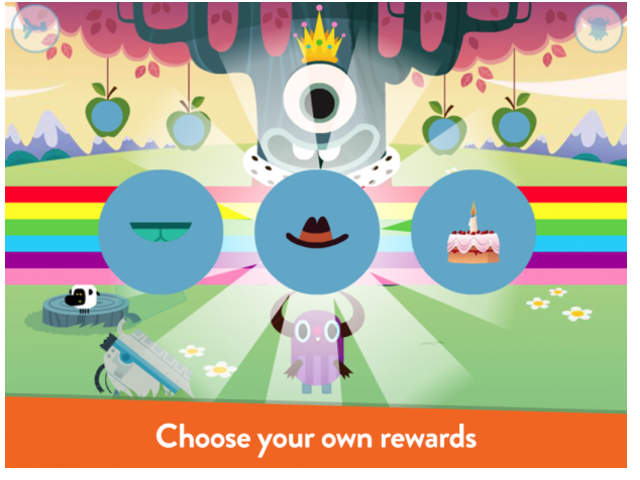 Just as with the web version, the Teach Your Monster To Read: First Steps iPad app is designed for children aged 3 – 6 years old. We hope the app is used by parents and teachers alike, in and around the house, in classrooms, on the move and everywhere in between. You can email us [email protected], or drop us a message on Facebook or Twitter. We’d love to see pictures of the app in action. Teach Your Monster To Read for iPad is available from the Apple App Store, priced at £2.99/$4.99. All proceeds go to the Usborne Foundation, helping support new games and ideas for Teach Your Monster To Read, as well as other learning and literacy projects. Help us spread the word! Tell your friends about our brand new iPad app. 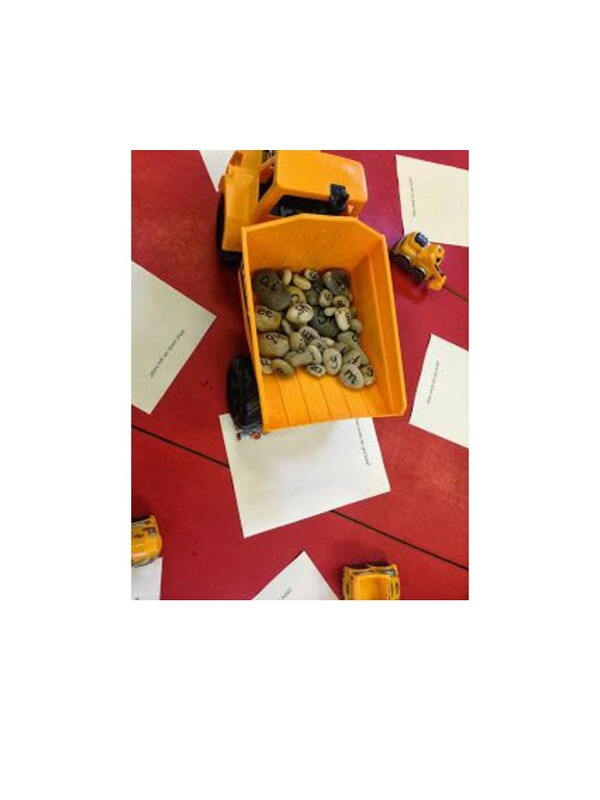 Children put different pebbles together to practise blending and segmenting with different grapheme-phoneme correspondences. 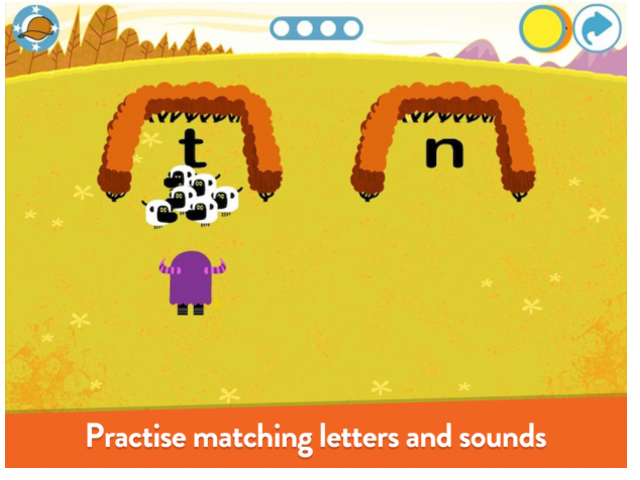 This game can be easy to play using simple letter sounds or made more challenging by writing words on the pebbles so children can create sentences. 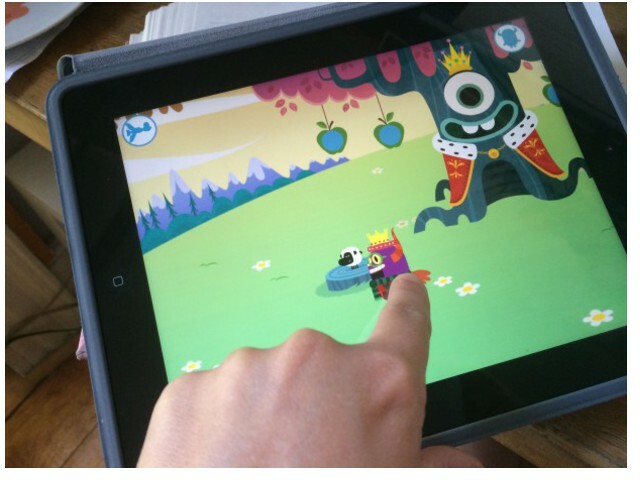 Coming soon to an iPad near you… Teach Your Monster to Read 1: First Steps! With all the same functionality and features that children loved about the online game, this iPad version will be just as fun and educational, helping young children to practise the initial steps of reading. The game develops children’s speed and accuracy of letter recognition by taking them on a fantastic adventure through a magical world where they meet island kings and collect letters to win prizes. It also explores blending and segmenting, and introduces “tricky” words in a fun, interactive setting. It is aimed at beginning readers, both those who are on track and those who need more support. 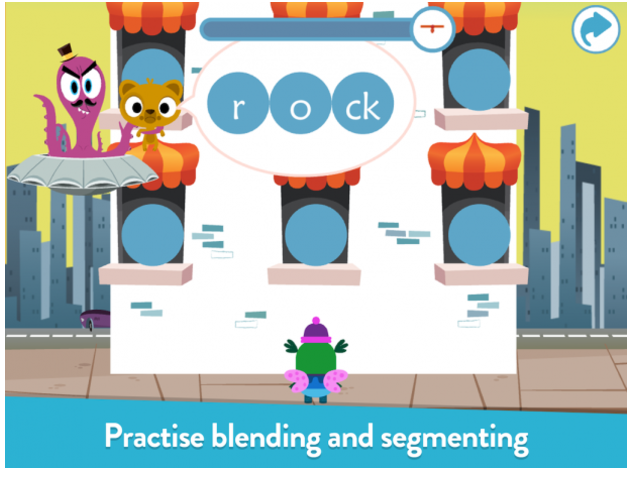 Teach Your Monster to Read: First Steps app features the voice of Simon Farnaby from BBC’s Horrible Histories. 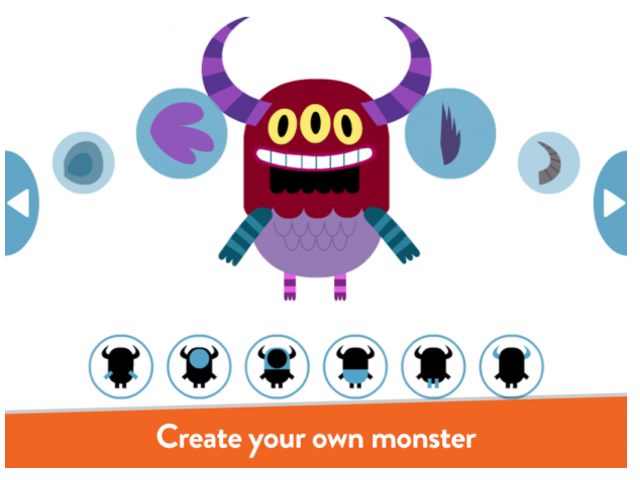 Teach Your Monster to Read: First Steps app will be priced at £2.99/$4.99. The web-based version for computers of Teach Your Monster to Read games 1 and 2 (First Steps and Fun with Words) remains available to anyone for free. Proceeds from the app support further literacy-focussed charitable initiatives from the Usborne Foundation. Exciting news from Teach Your Monster to Read! We’re pleased to announce that Teach Your Monster to Read: First Steps will launch on iPad this month. With all the same functionality and features that your little monsters loved about the online game, this iPad version will be just as fun and just as educational, introducing young children to the initial steps to reading. Our monster fans have been asking about the iPad version for a few months now and we’re really excited to tell you that it’s on it’s way. We can’t wait to hear what you think! 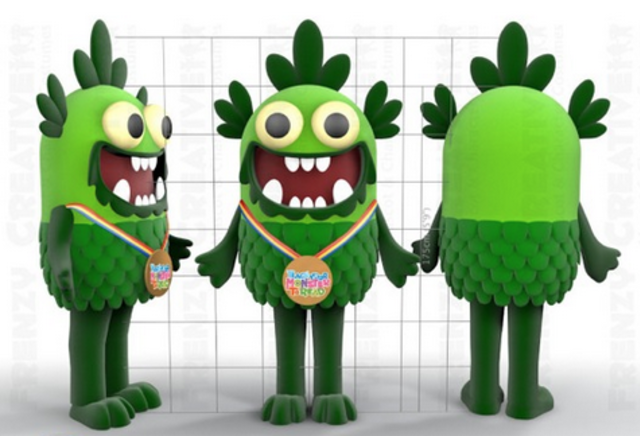 Keep watching the Teach Your Monster to Read blog, Facebook and Twitter pages for further announcements.